Largest capacity range in Compacts - from 170 cmh to 2000 cmh (100 cfm to 1177 cfm). 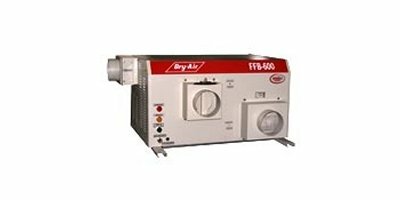 The Bry-Air FFB Series, 170 cmh through 2000 cmh (100 cfm to 1177 cfm) desiccant dehumidifier line is designed to integrate 'small footprint and finish' of a commercial unit with 'the ruggedness' of an industrial dehumidifier. 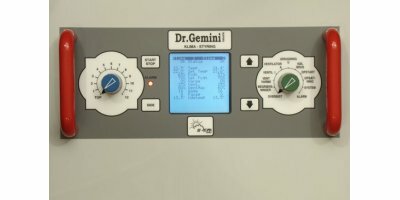 The TCON 2000 is a high precision dry bath system, that provides precise control to maintain test tubes at a preset temperature. It is far more convenient than water bath systems,requires less space and needs little maintenance. By Duratech based in Carmel, INDIANA (USA). By Renby Limited based in Tarvin, UNITED KINGDOM. 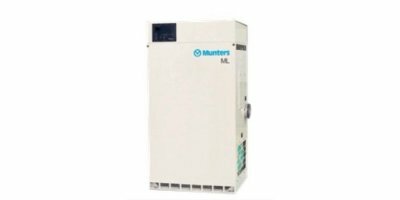 Increase and maintain humidity within a sensitivy environment for optimum performance, Prevent static discharge, Microprocessor displays constant operator feedback. The popular OmniBreeze contributes to ensuring the optimal quality of your produce in storage. 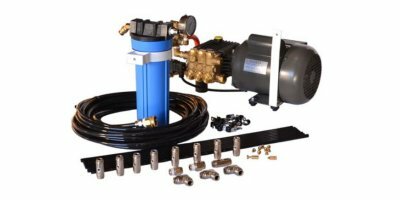 At one cubic metre in size, the compact dimensions of the OmniBreeze mean it can easily be deployed to achieve unprecedented results. By Omnivent Techniek BV based in Zeewolde, NETHERLANDS. Air purifier, humidifier and cleaner all rolled into one. The humidifier AIR-C60 simultaneously humidifies and cleans the air. Featuring a 3.17 gallon per day humidification capacity and 3-Stage air purificationwith PlasmaWave™ Technology. By Autogrow based in Mairangi Bay, NEW ZEALAND. VP Engineers have been manufacturing Nozzles for Cooling towers for the last 20 years. We have evolved with different designs needed by the industry with our designs & also with customer’s designed spray Nozzles.